Perhaps as a result of today’s selfie-taking, image-obsessed culture, more and more men – and women – are using anabolic steroids to achieve the perfect body. But for many, this can have the unwanted side effect of increased hair loss. So can this be avoided? Which compounds are harshest on hair? Here’s how to prevent hair loss from steroids. Disclaimer: anabolic steroids are illegal in the USA and UK. This article is intended for information purposes only. Do steroids cause hair loss? But it’s not a simple yes or no answer. There are numerous factors that determine whether or not you’ll lose your hair if you take steroids – some genetic, some environmental. The current best theory of androgenetic alopecia (i.e. male pattern hair loss) says that the hormone dihydrotestosterone (DHT) is the main cause. This hormone binds to receptors in the hair follicle. Over time, this causes the hair to shrink. Eventually, it becomes so small that it stops producing hair. But it’s not just as simple as DHT = hair loss. Genetics also determine how susceptible hair follicles are to the hair-miniaturising effects of DHT. Some (lucky!) people have hair that is highly resistant to this hair-damaging hormone. In other words, even if they have high levels of the DHT hormone, they won’t lose their hair. Left: A photo of Lou Ferrigno taken during his bodybuilding comeback in the early 90s. Right: a photo of him from 2016 (age 64). He’s been on the bodybuilding scene since the early 1970s – even making a comeback in the 90s. During this time he’s probably taken just about every steroid there is – yet he still has a perfect Norwood 1 hairline at 64 years old! Even for a man who had never taken anabolic steroids, that would be rare. But as a long-time user of steroids, Lou’s hair will have been exposed to far more hair loss-causing androgens! Despite this, he’s still got a full head of hair. It seems Lou Ferrigno has hair that is genetically reistant to anrogenetic alopecia. 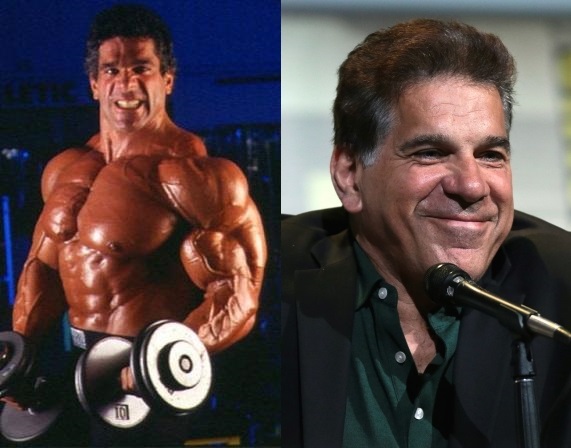 But if you’re not lucky enough to have Lou Ferrigno’s hair genetics, environmental factors – i.e. steroids – may cause you to lose your hair faster than normal. Steroids mimic the effects of the hormone testosterone. By itself, this isn’t particularly damaging to the hair. However, the enzyme 5-alpha reductase binds to testosterone and converts it to DHT – this is damaging to hair. And because some steroids are so similar to testosterone in structure, they too can be converted to DHT by 5-alpha reductase. 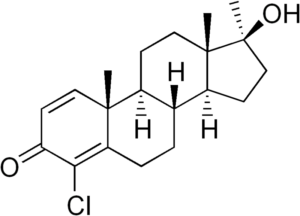 Many steroids also require injecting a testosterone ‘base’ alongside. This extra testosterone can also be converted to DHT. So taking steroids can increase DHT levels. And if you have hair that is genetically susceptible to hair loss, then more DHT means more hair loss. There are prescription drugs available which reduce 5-alpha reductase and thus DHT levels. 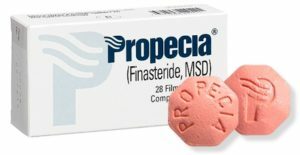 Finasteride (brand name Propecia) is available with a prescription to treat hair loss. Studies show it reduces DHT levels by around 70%. Dutasteride (brand name Avodart), however, has been shown to reduce DHT levels even more – by around 90%. But it is only prescribed to treat benign prostatic hyperplasia, not hair loss. Very important point: systemic 5-alpha reductase inhibitors may actually make hair loss worse when used in combination with some anabolic steroids, such as deca-durabolin. Other steroids, such as equipoise, do not convert to DHT via 5-alpha reductase, so finasteride and dutasteride will not have an effect. An alternative anti-androgen for hair is RU58841. Unlike finasteride and dutasteride, it is applied topically, reducing the effects of DHT locally, rather than systemically. And there is strong clinical evidence to suggest that RU58841 really can reduce the effects of DHT. Unfortunately, it is not clinically approved for any medical uses. As such, it is classed as a research chemical and is not intended to be used on humans. To learn more about RU58841, how effective it is for hair loss, and where you can purchase it, click here. Despite having a relatively high anabolic:androgenic ratio, Anadrol is notorious for causing hair loss. It is very quickly metabolised into estrogen and DHT, accelerating hair loss at a rapid rate. Dianabol has an anabolic:androgenic ratio of 90-210:40-60. In other words, it is more androgenic than it is anabolic. As such, it is very damaging to hair. And 5-alpha reductase inhibitors, like finasteride and dutasteride, won’t do much to slow this hair loss either. Trenbolone is another steroid that is highly damaging to hair. It’s actually a derivative of DHT. And 5-alpha reductase inhibitors won’t do much to stop hair loss from Trenbolone either as Tren doesn’t convert to DHT anyway. Instead, it is already highly damaging to hair. Winstrol is perhaps the very worst steroid for hair loss. Like Trenbolone and Dianabol, even high doses of finasteride and dutasteride won’t do much to save your hair when taking this steroid. It’s so strong, in fact, that even users who are not particularly susceptible to androgenic alopecia report hair loss from winstrol. Like any drug, different steroids affect people differently. A steroid that causes hair loss in one individual may not have affect another. But the following steroids are generally considered to be the least harsh on hair. Anavar is one of the least androgenic steroids with an anabolic:androgenic ratio of 322-640:24. In general, it does not convert to estrogen or DHT. But if taken in high enough doses (>100mg) it does have the potential to cause hair loss, though it is generally quite safe. In general, Deca-Durabolin is pretty safe for hair. 5-alpha reductase, instead of converting it to DHT, converts it into the much less potent DHN. For this reason, you should never take finasteride or dutasteride whilst taking Deca – it will actually make hair loss worse than not taking it at all. Often, though, a testosterone ‘base’ needs to be taken alongside Deca to prevent side effects. This will have a negative effect on hair. It is claimed that oral Turinabol has an androgenic rating of 0. This means, in theory, that it won’t cause hair loss at all. But like Anavar, it does have the potential to cause hair loss if taken in large enough doses. In general, though, it is pretty much the safest steroid for hair loss. Can I take steroids and keep my hair? It depends, firstly, on how susceptible your hair is to androgens. This is something you can’t control. But there are things that are within your control, such as which steroids you take, the dosages, but also the hair loss treatments you use as well. But the safest option if you’re concerned about your hair is not to take steroids at all. If your hair is susceptible to the hair-minimising effects of DHT, it will fall out if exposed to enough androgens. And once it’s gone, it’s gone. Regrowing hair lost through androgenetic alopecia is far more difficult than maintaining it. The ‘safe’ steroids for hair loss described above are definitely less likely to cause hair loss though. However, this is by no means a guarantee that you’ll keep your hair. 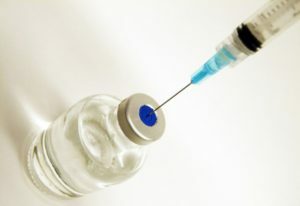 But if you are careful and take the proper precautions, you can reduce the risk of accelerated hair loss from steroids. Previous post: Has ELON MUSK had a Hair Transplant? Next post: Has LEWIS HAMILTON had a Hair Transplant? This is what I was looking for since many months ago! Thanks. what to take to prevent hair loss ? So many mistakes in this article! 2. “It (Oxymethylone) is very quickly metabolised into estrogen and DHT” => Oxymethylone is NOT metabolizable to DHT or estrogen. It is a DHT-Derivative and hast estrogenic activity itself. 3. “Dianabol has an anabolic:androgenic ratio of 90-210:40-60. In other words, it is more androgenic than it is anabolic.” => this is wrong, you mixed up the numbers, it is the other way around. There are more mistakes, but im tired of writing. But the general categorisation of the steroids causing hair loss is right.